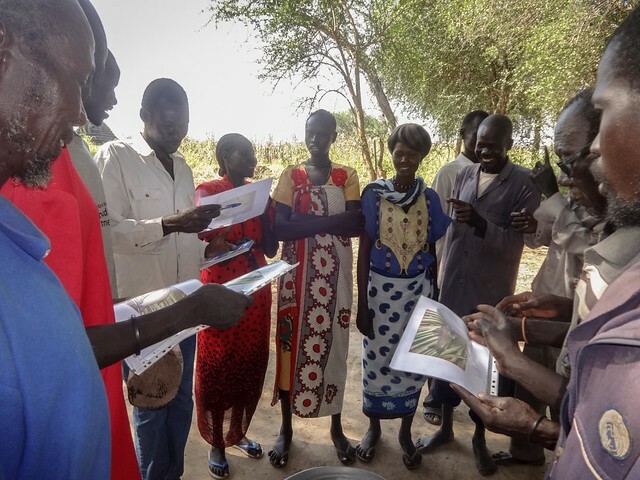 With Abyei’s farming, markets and distribution networks severely disrupted due to inter-communal conflict, the Food and Agriculture Organization of the United Nations (FAO) strives to reactivate the local food economy dominated by imports and humanitarian assistance. In December 2016, under a European Union funded initiative, 120 fisher folk were trained in post-harvest management and grading to encourage and revitalize local trade. “It is essential to fight hunger by giving community members the skills to produce, and not by free food distributions. Abyei has huge fishing resources which need to be utilized and utilized responsibly,” highlights Dr Rou Manyiel, Director General of the Abyei Administrative Area during the opening ceremony of the first training in Akec Nhail. One of the key challenges for fisher folk has been the preservation of their catch and transportation to the markets. With no knowledge of preservation techniques, distribution networks disrupted and limited movement due to poor road and insecurity, produce was predominantly for those living close to the rivers. As a result, fisher folk produced mainly for own consumption and customers in their vicinity, undersupplying the markets where there is a high demand. FAO experts worked with the fisher folk by providing them with fishing kits, consisting of fishing nets, monofilament and hooks, and teaching them the economic value of fish, how prevent fish spoilage, fish quality theories, preservation techniques such as drying and smoking and benefits of wet salted versus deep frying fish. All the theories were coupled with practical exercises, giving everyone a chance to apply what they had learned. “The impact of such trainings can be felt and seen at different levels – the enthusiasm and engagement of the participants during the trainings and afterwards when they apply their skills and we suddenly see dried fish in the main market. We have seen a true eagerness to learn new skills,” explains Marco De Gaetano, FAO South Sudan Project Manager.